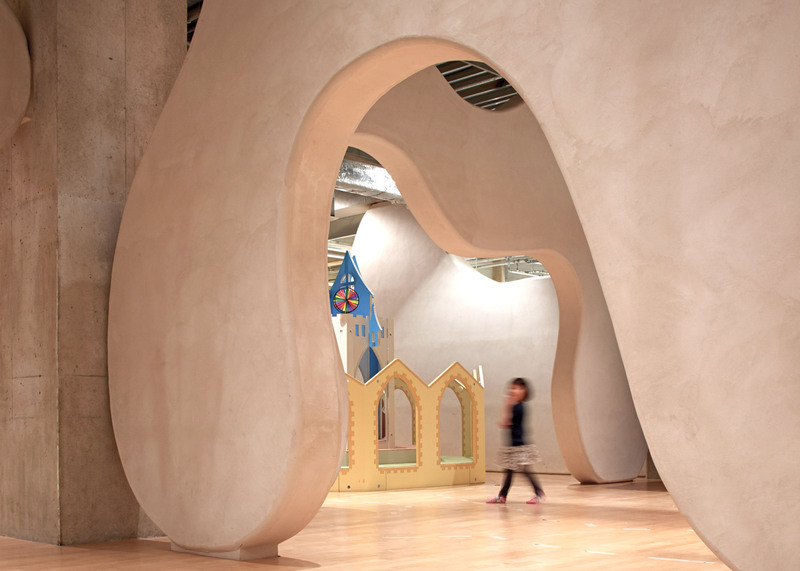 Architect Junya Ishigami designed partitions with assorted curving shapes for the cloud-inspired interior of this nursery, located inside a high-rise in Atsugi, Japan (photos by Edmund Sumner + slideshow). 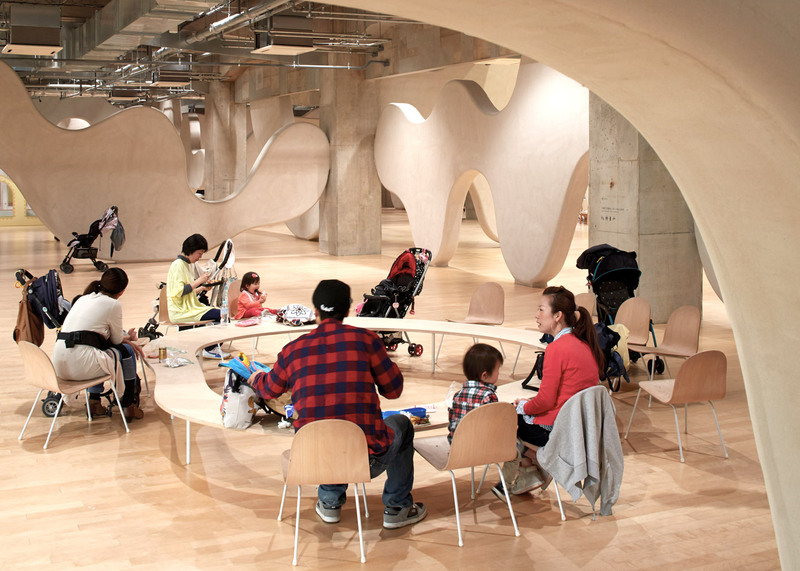 Ishigami – a Tokyo-based architect known for his minimal approach – sought to recreate the feeling of walking in the clouds with his design for the Cloud Garden day care and child support centre. "I like to look at the clouds," explained Ishigami. "Clouds change their form at will, with a certain rationality. Moreover, they are all white and fluffy, having both a sense of unity and some consistency. And they are vast." 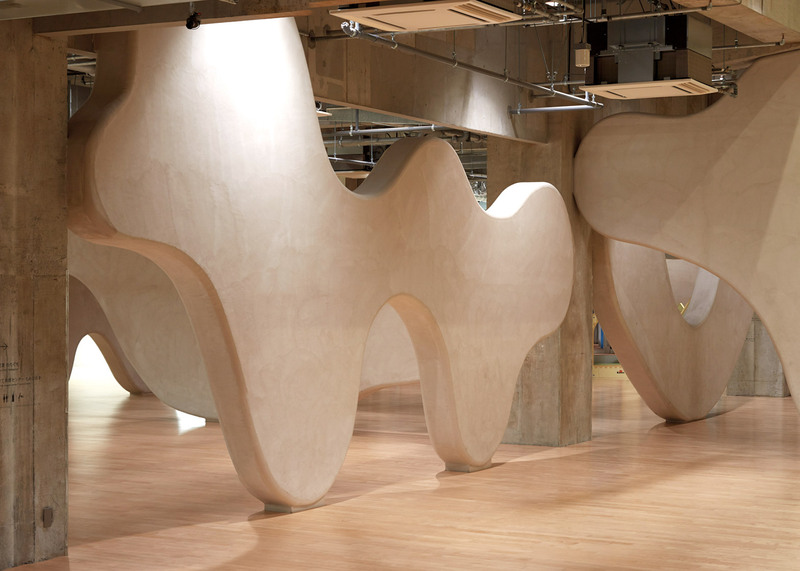 "I have been thinking recently about whether it is possible to think of architecture in such an atmosphere," he added. The brief for the project was to transform the seventh floor of a 13-storey block originally built as offices. The 2,200-square-metre space was formerly a cafeteria, so the mechanical and electrical services were all exposed overhead. There were also a series of bulky concrete columns dividing up the floor. 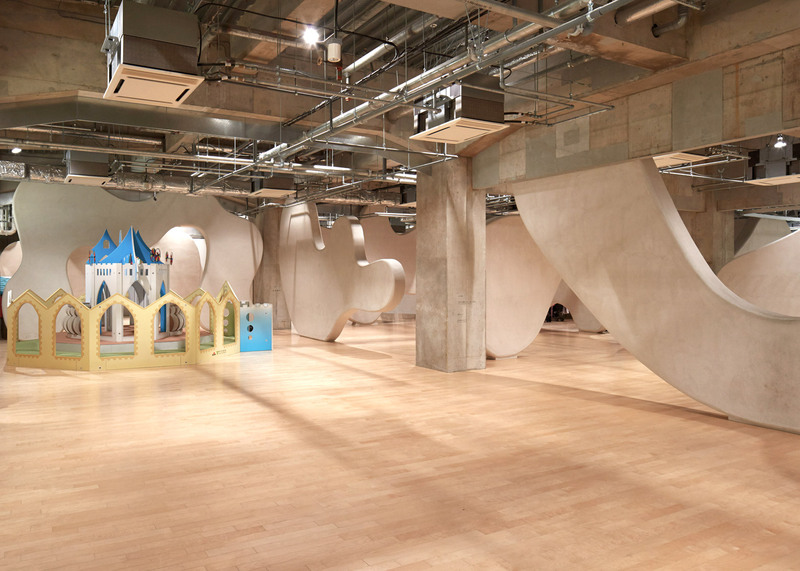 Ishigami felt that adding cloud-like forms would make the space appear more welcoming to children, while also referencing its elevated location. 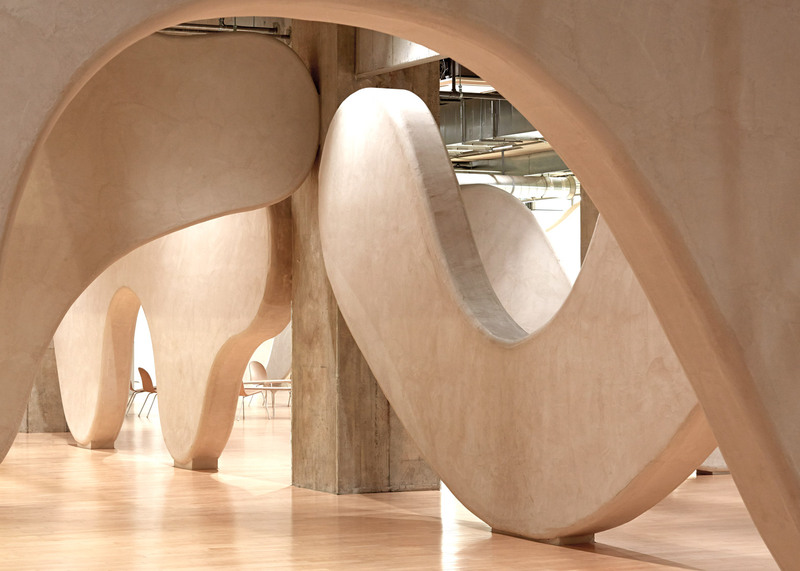 He and his team designed a series of curved partitions, each one different, to slot between the existing columns. Archways are formed along the underside of these, creating routes between spaces, while openings higher up allow light to pass between rooms. 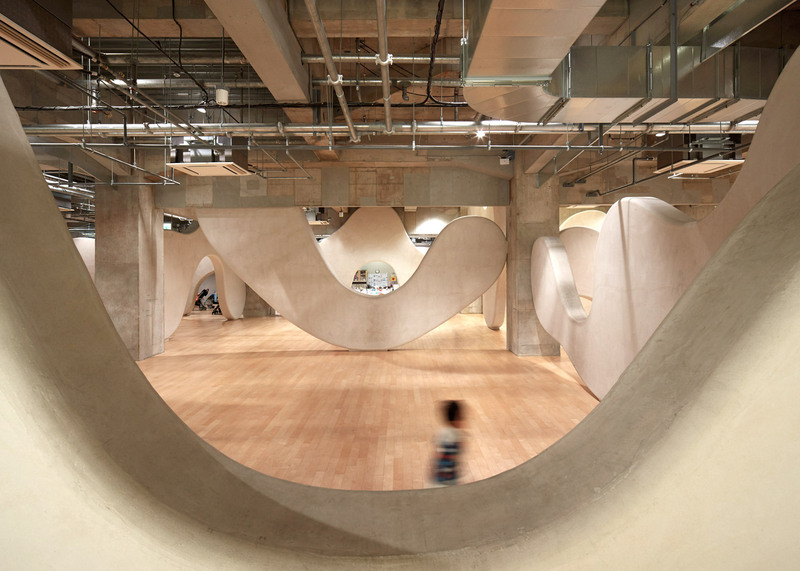 "We designed the entire space with gentleness as if drawing a sketch in the air, flexibly accepting the presence of unexpected beams and piping protruding out of the floor," explained Ishigami. 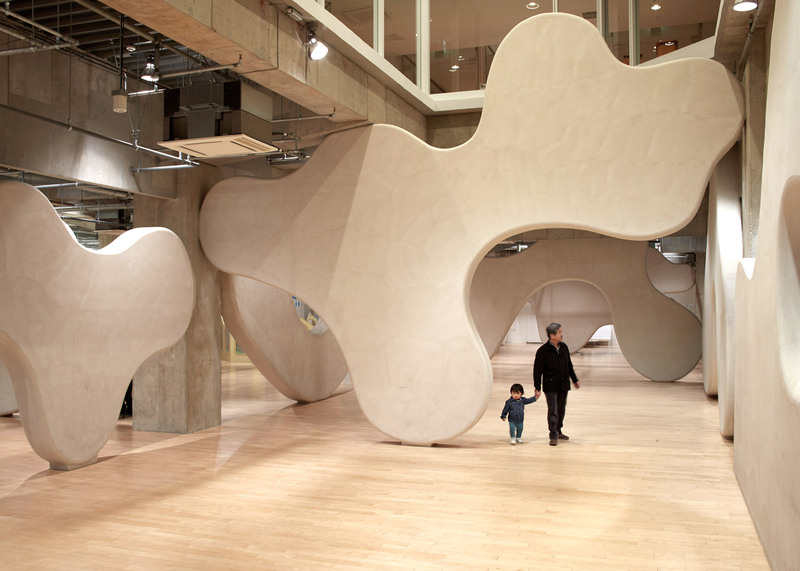 "Lightly dividing the space with the roundness of the soft cloud-shaped wall gives it the required functions and atmosphere, creating a playground at the same time." As the cloud shapes run both across and along the space, various apertures overlap to create framed viewpoints at different points around the interior. Some of the walls also function as screens that conceal technical equipment. "A mysterious space that changes itself depending on the location is created through the multilayered tangling of many architectural elements," said the architect. "There are crevices that only children can pass through, and absent spaces that are considered large even for adults – it is a space that softly ties in various objects and scales." Junya Ishigami's best known projects include the Kait Workshop at the Kanagawa Institute of Technology and his Golden Lion-winning installation in the Japanese Pavilion at the 2010 Venice Architecture Biennale. Current projects include a cloud-like building for Copenhagen harbour and a mountain-inspired ferry terminal for a Taiwanese island.